Hi there! 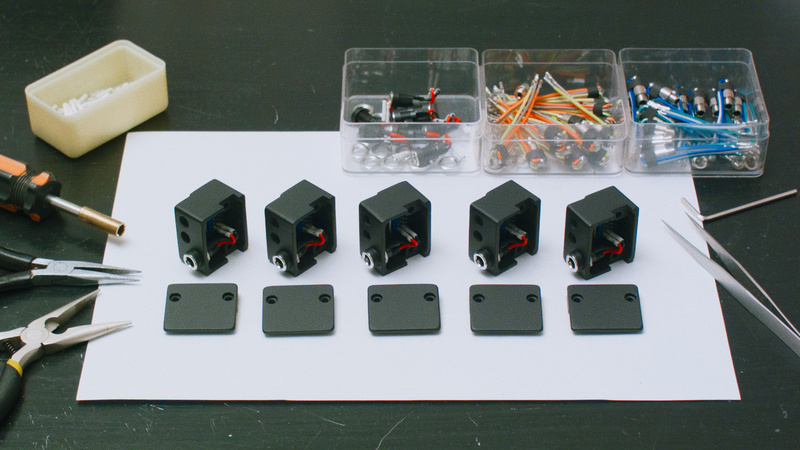 As you may know i'm a developer of Angle HDMI Clamp Kit https://forum.blackmagicdesign.com/viewtopic.php?f=14&t=55124 and co-designer of SmallRig BMMCC cage. My next attempt in this line of projects was the camera handle, but it seems things moving slowly and i decide to release Angle Expansion Box Module first. 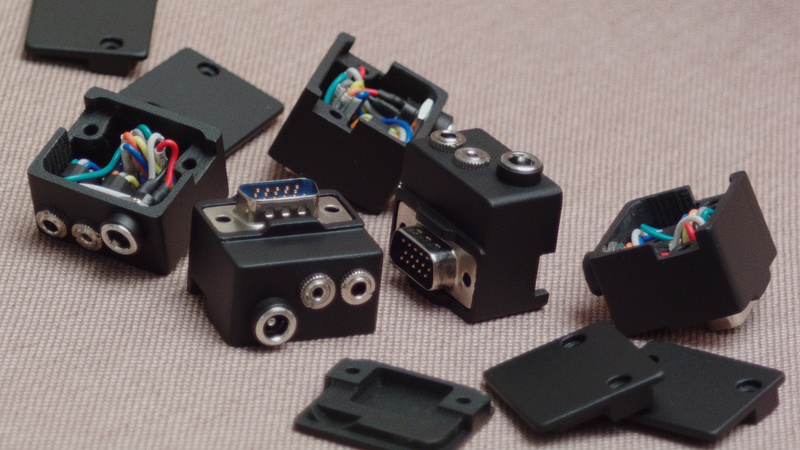 Box uses high quality connectors made by Lumberg (Germany). 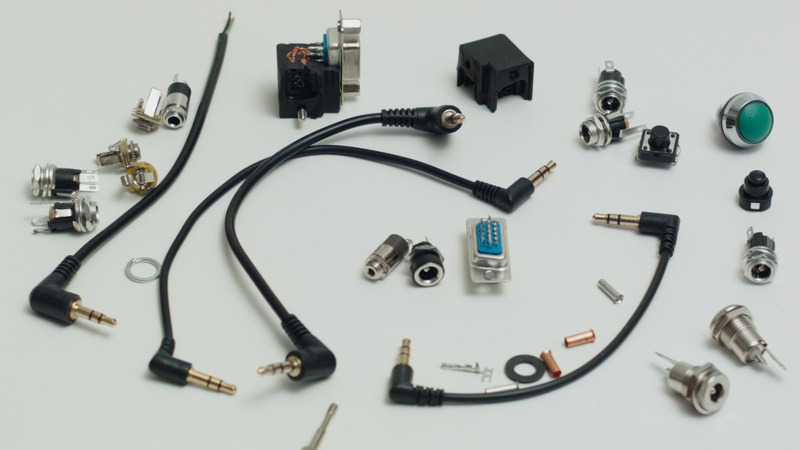 It takes months to test a lot of different connectors before choose proper ones, especially DC power which should work smoothly with BMMCC power plug same as with another more simple ones. 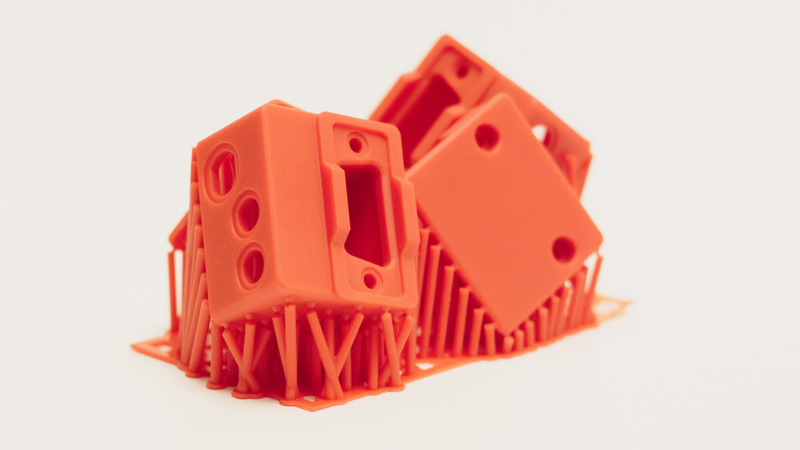 Angle shape provides compact and secure cable management, no more mess of wires around camera. 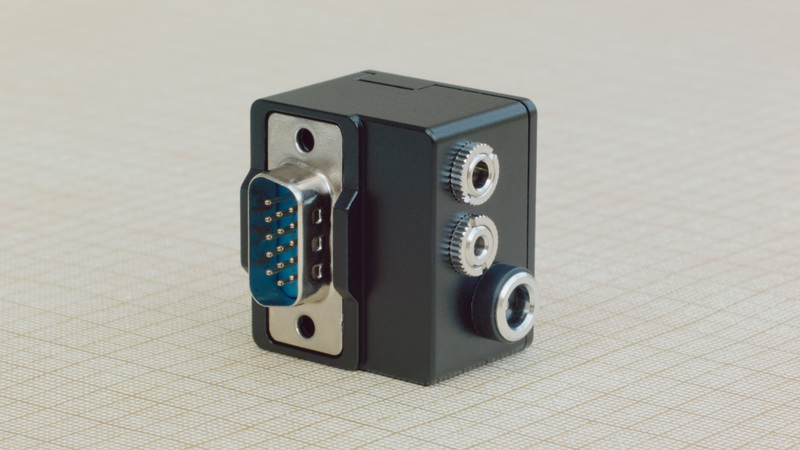 Fits perfectly to size and shape of BMMCC Angle HDMI Clamp Kit. 3D printed body. Compatible with SmallRig cage. Compatible with other BMMCC controllers. 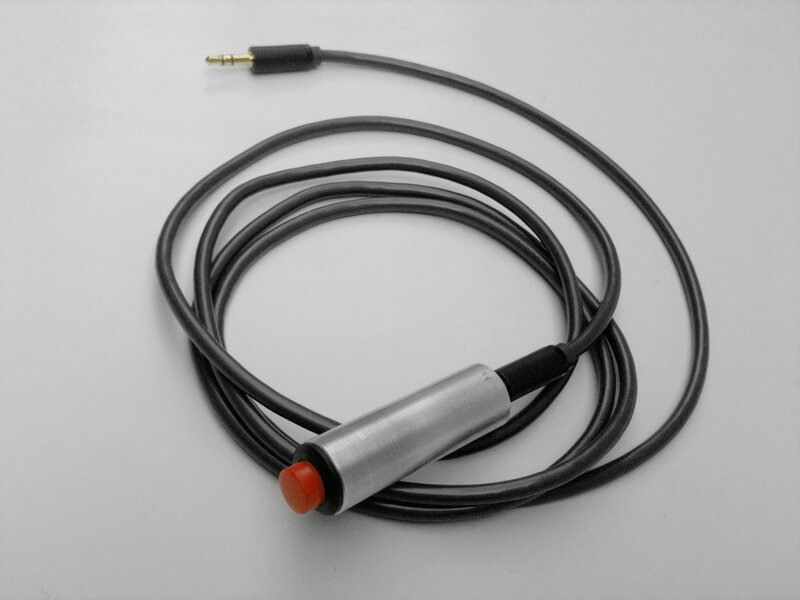 3.5mm jack can be mapped to 2 PWM channels or to S.Bus. Other connectors are 2.5 jack LANC and camera DC power in. Last edited by Dmitry Shijan on Sat Dec 16, 2017 1:04 pm, edited 7 times in total. Last edited by Dmitry Shijan on Fri Feb 17, 2017 6:43 pm, edited 1 time in total. 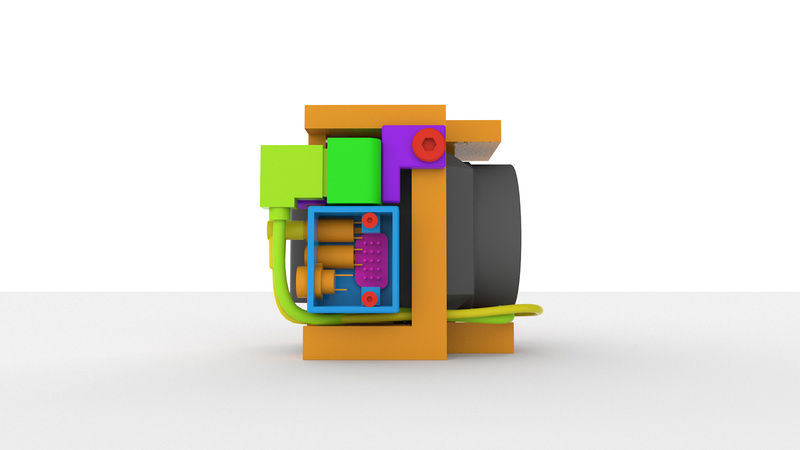 Currently i search a better way to manufacture a box body. At this Sunday my friends made test samples on usual FDM 3D printer and i don't like the results. It appears not too precise and material not strong enough for this kind of small things, also it takes too many time for batch manufacture. So i refuse my idea of simple 3D printed body. This is final design of the cap. 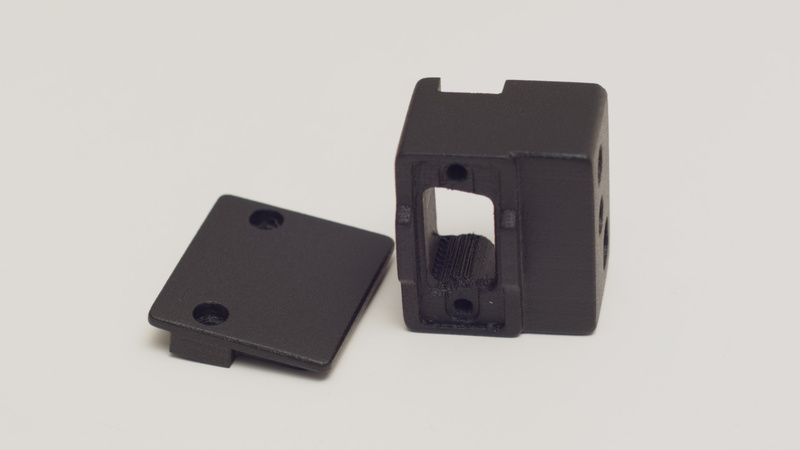 It inserts deeper as earlier versions into box body and improves rigidity, same time saves a lot of space and allow to use smaller length screws now. Last edited by Dmitry Shijan on Wed Aug 23, 2017 3:48 am, edited 1 time in total. 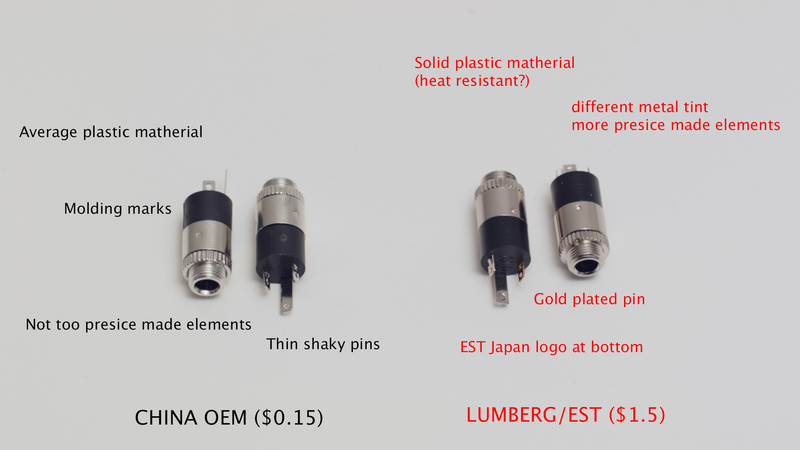 Also want to share a little chart after testing Lumberg/EST vs OEM China connectors comparison. 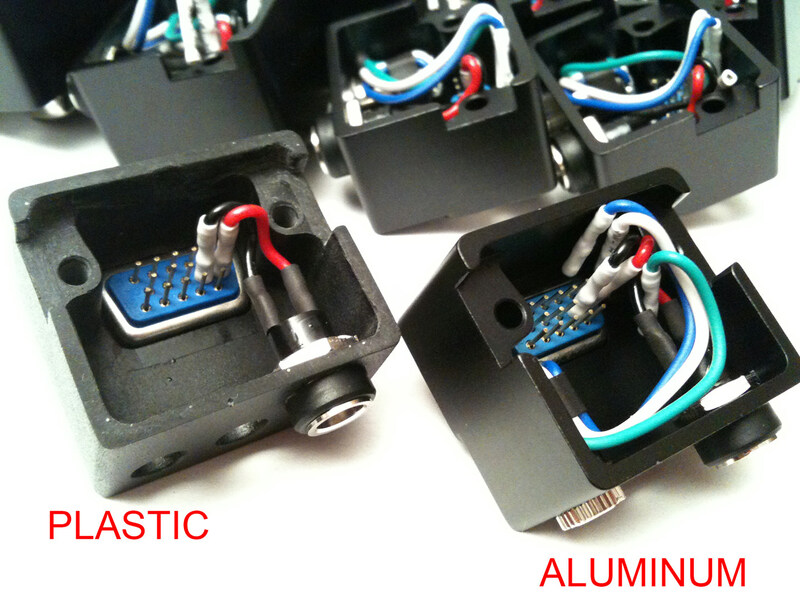 DC power connectors are also different. I can't find a Lumberg DC power connectors in local stores yet, but already find another brand which is better quality than OEM. Last edited by Dmitry Shijan on Thu Aug 24, 2017 5:53 am, edited 2 times in total. This is interesting! It looks tidy! So when you say $25-$50 is that for the completed device or for the kit which would require assembly? Sure it will be assembled and ready to use product. Currently i search the better way to print a high quality model with precision 0.05mm, and convert it to silicone shape for molding. 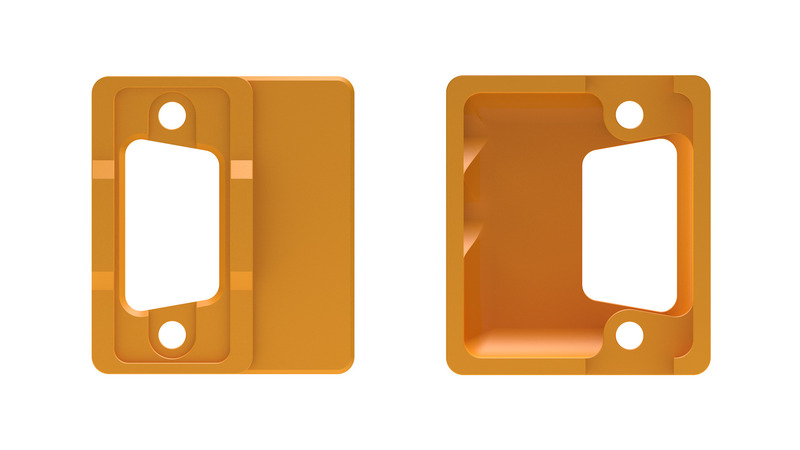 Next, this box will be manufactured time to time in small batches (5-10pcs) from rugged material and assembled. So you have a lanc the power and then a 3.5mm jack as well? What would you plug into that? Another lanc like device? I think the 3.5mm jack is connected to the SBus for a SBus based remote, or can be connected to a PWM pin connection to get ISO or WB remote toggle control. I plane to develop in future a grip with simple rec/stop PWM button to this box. 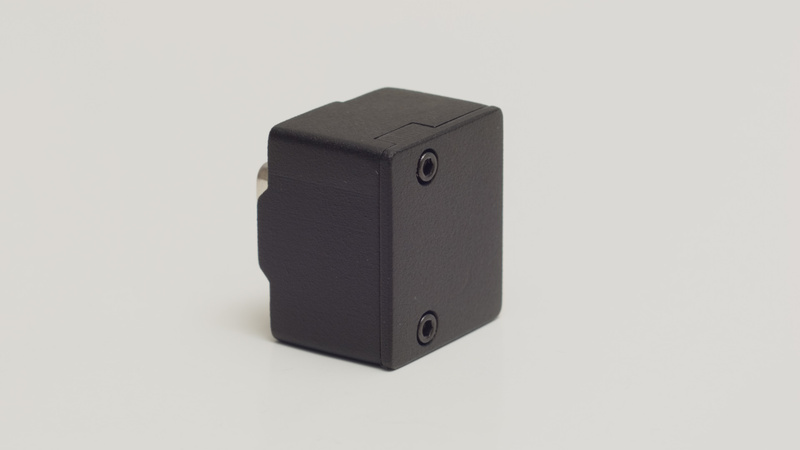 3.5mm jack is freely configurable you can map it to two PWM buttons and just connect a simple button to it. Or map to more complicated S.Bus protocol and use with any S.Bus controller developed last times for this camera. This is pretty cool! I'm watching with interest! 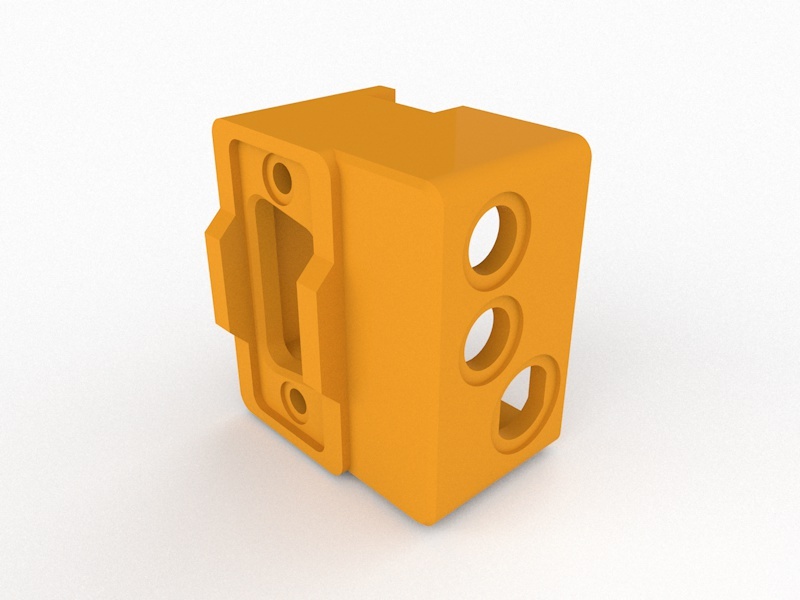 In the final final version i decided to add extra elements around d-sub connector for better support and stability. Still searching for best 3D printer possible for master copy. 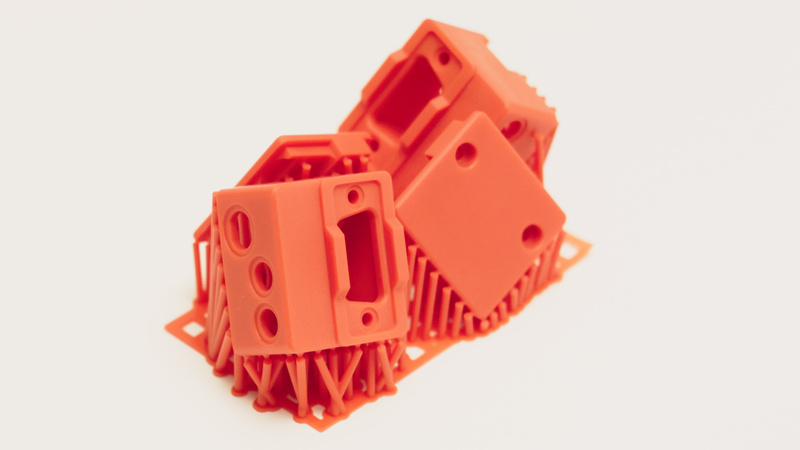 Stratasys Objet30 printers looks great but very expensive, DLP printers are another option but needs more post processing handwork to finish. Also some sketches for future molding setup. 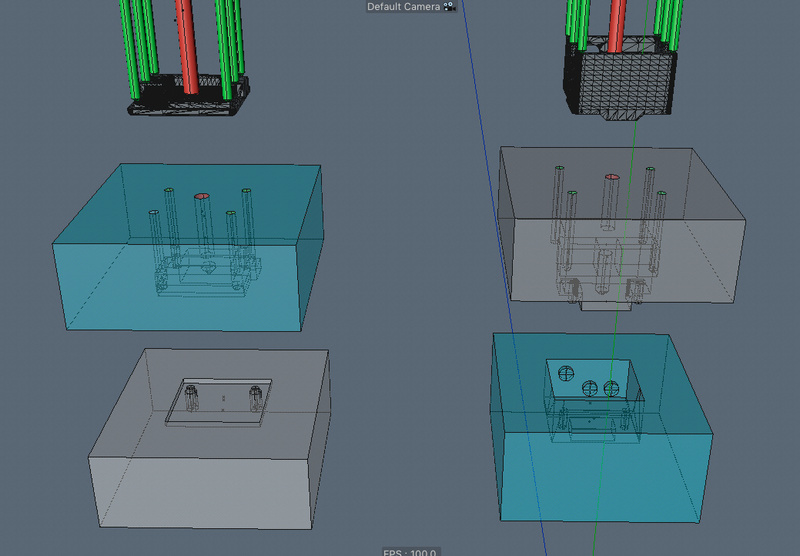 It appears that manufacture of decent silicone shape will be the most complicated thing in this adventure. Last edited by Dmitry Shijan on Wed Aug 23, 2017 3:45 am, edited 1 time in total. THE MASTER COPY is ready! This was printed on B9Creator DLP 3D printer. Last edited by Dmitry Shijan on Wed Aug 23, 2017 3:44 am, edited 1 time in total. BTW if someone else potentially interested in this adapter P.M., me, send email of post messages here. This helps me to understand how many copies to produce in first batch and send them all together without delay. 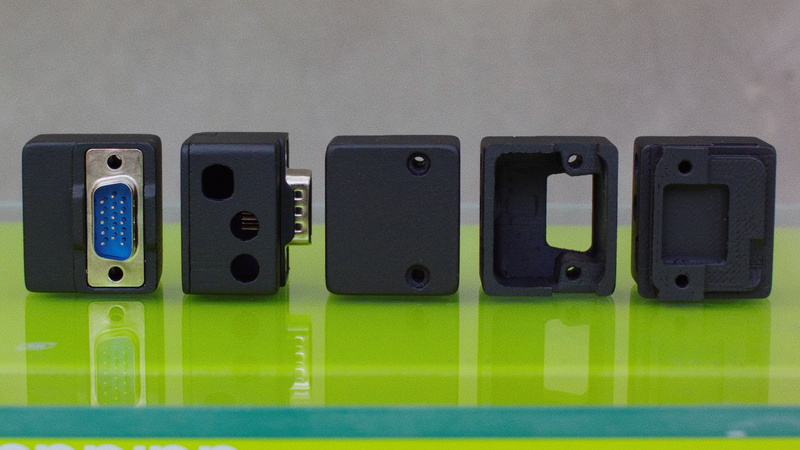 Printed on FlashForge Creator Pro FDM 3D printer with layer thickness 0.1mm with black PET plastic (aka coPET). Sanded, painted with textured spray and black paint layer (RAL9005). Now i'm really happy with result and ready for batch manufacture. Last edited by Dmitry Shijan on Wed Aug 23, 2017 3:43 am, edited 1 time in total. All cables connected to D-SUB pins with tiny jumper plugs, so you can open the box and change configuration as you like just in few seconds. Last edited by Dmitry Shijan on Wed Aug 23, 2017 3:41 am, edited 1 time in total. Good job with the strain relief on the soldered jack connections. And first boxes will be shipped in few days. It seems this is the only one seller who sells them. They are thinner than normal cables, very slim and flex. You can see same cables connected to expansion box compared to normal sized ones in earlier posts here. Last edited by Dmitry Shijan on Wed Aug 23, 2017 3:27 am, edited 1 time in total. Dmitry Shijan wrote: Currently this project is in final stage of development. Hope expansion box will be available in month or so. Price will be around $25-$50. Worldwide shipping with registered air mail about $5. Very cool. I look forward to your finished product. 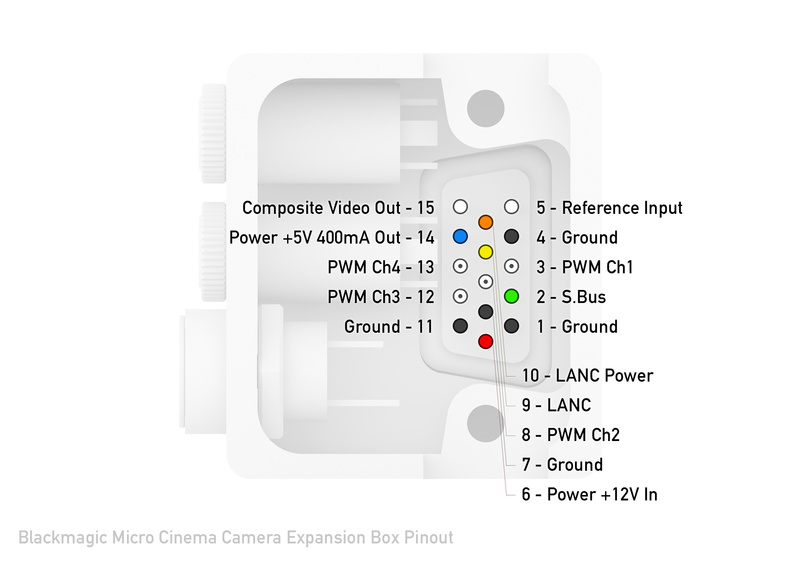 PWM(S.Bus)+LANC+12V DC Angle Breakout Expansion Box Module developed by RADIOPROEKTOR for Blackmagic Micro Cinema Camera (BMMCC) and Blackmagic Micro Studio Camera 4K (BMMSC). 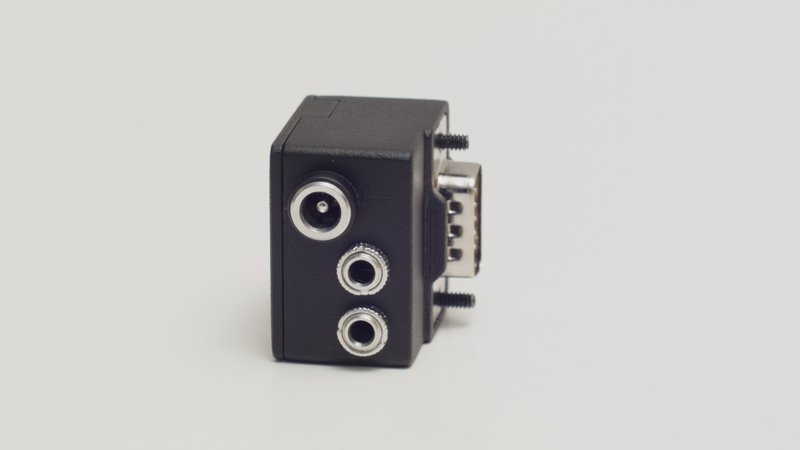 Angle shape provides compact and secure cable management without mess of wires around the camera. 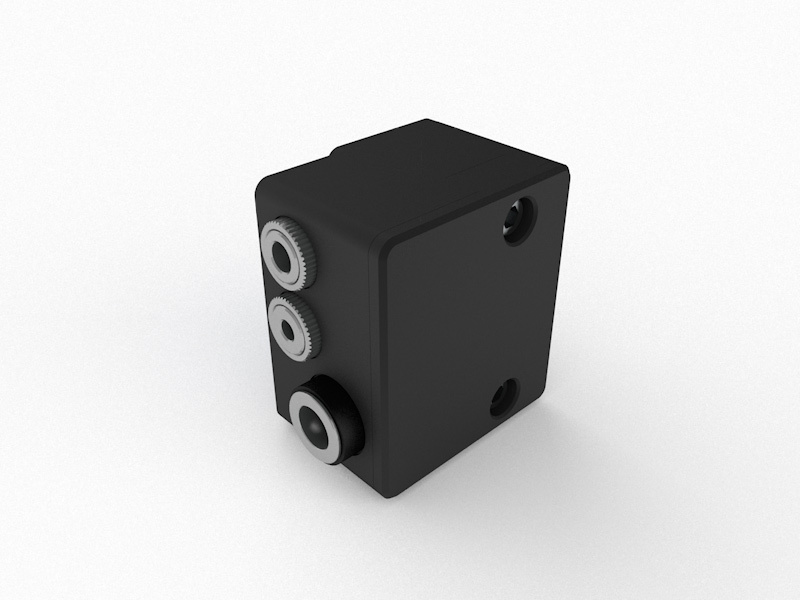 Box compatible with SmallRig cage and can be used without any cage as well. 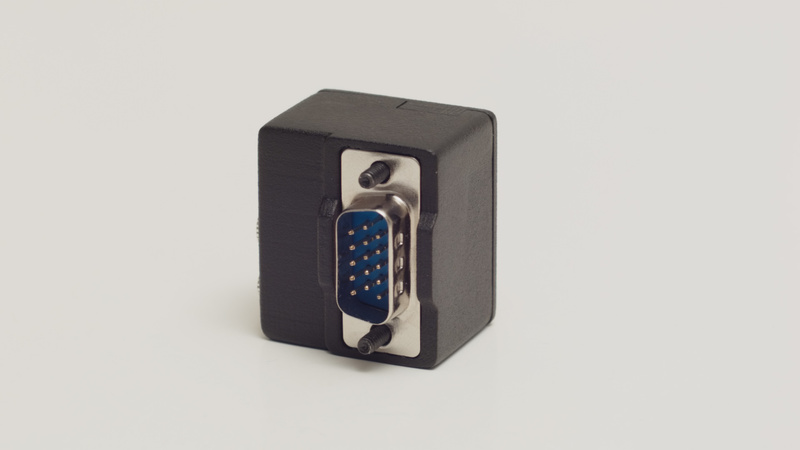 Perfectly fits to size and shape of BMMCC Angle HDMI Clamp Kit. 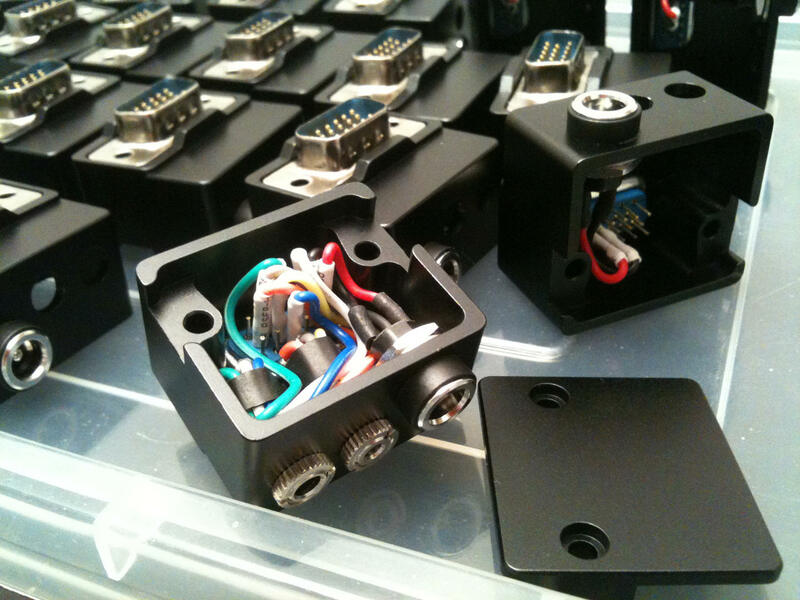 Box uses high quality TRS connectors made by Lumberg/EST (Germany/Japan). 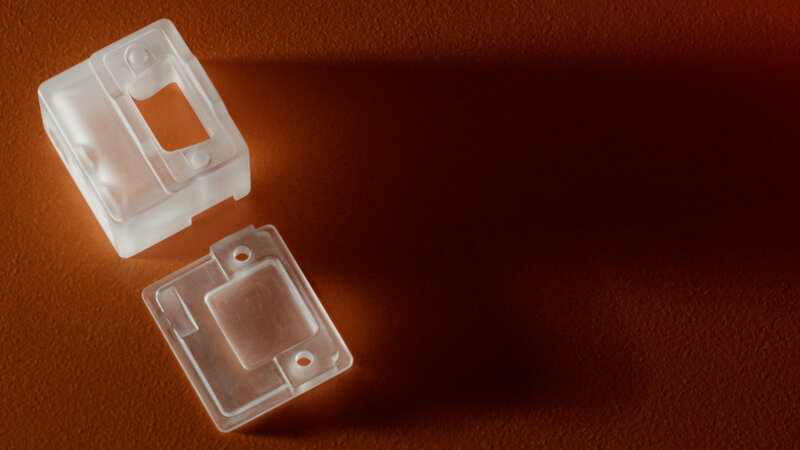 Everything is connected with tiny Dupont Jumpers, so you can open the box and easily change cables configuration for your needs just in few seconds. 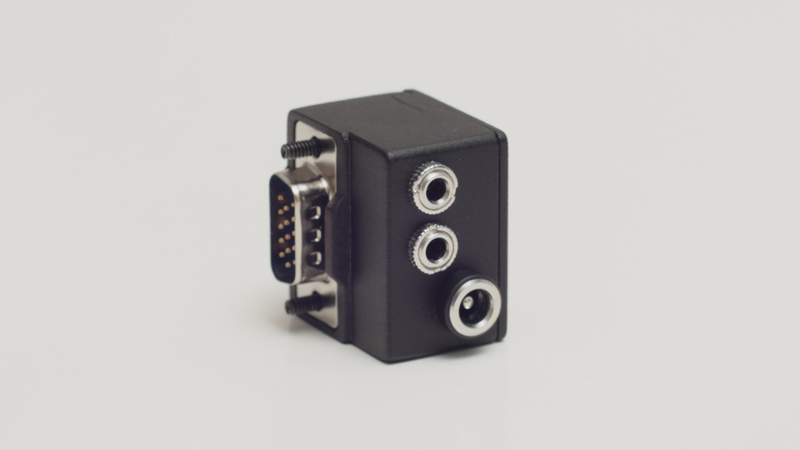 This makes it compatible with any PWM and S.Bus camera controllers, allow for Composite video signal output, Genlock/Reference input or any other desired option. 1. Insert Expansion Box into the camera. 1 x 3.5mm TRS jack socket for PWM, S.Bus or any other user selectable inputs/outputs. 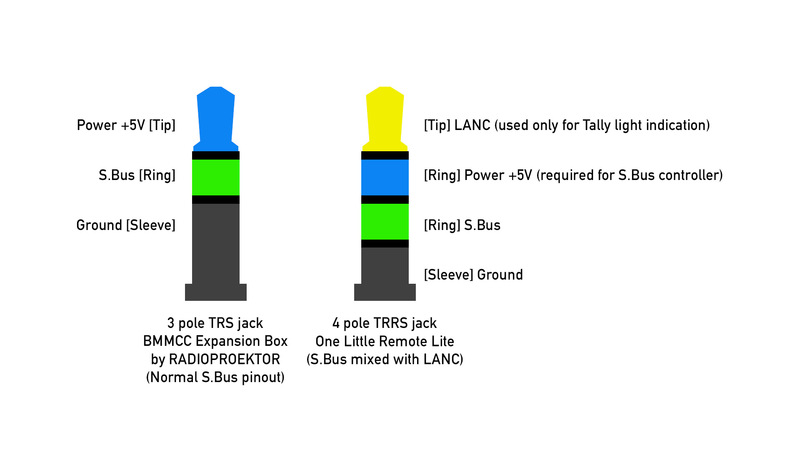 1 x 2.5mm TRS jack socket for LANC input. 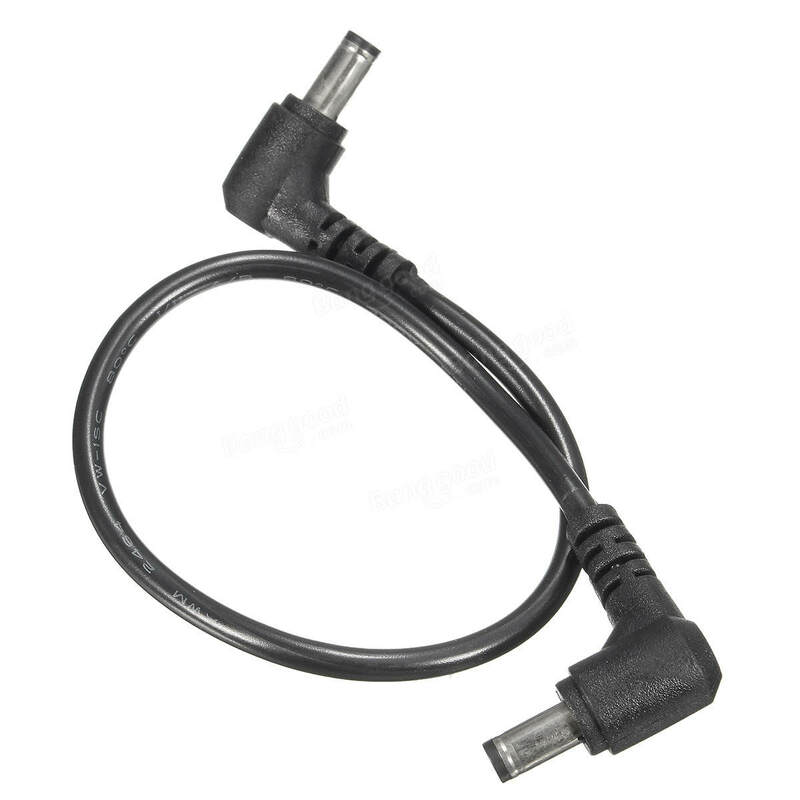 1 x 5.5x2.1mm (5.5x2.5mm compatible) 12V DC power input socket. 1 x DB-HD15 serial connector. ORDER HERE https://lavky.com/radioproektor/ Now it is possible to pay by PayPal or by card for your choice. Last edited by Dmitry Shijan on Fri Mar 09, 2018 5:01 am, edited 26 times in total. Second batch of the boxes done today! Last edited by Dmitry Shijan on Wed Aug 23, 2017 3:25 am, edited 1 time in total. Currently all boxes sold out! 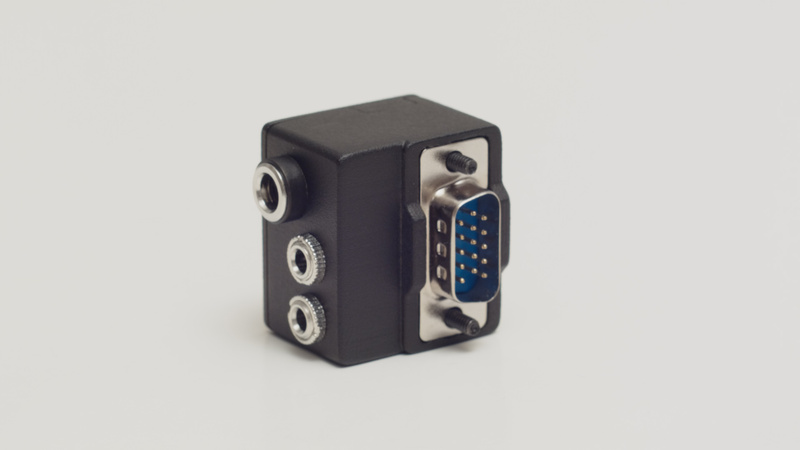 But i have planes to release version 2 of Angle Expansion Box Module with CNC machined aluminum enclosure! 3D printed enclosures work very well but too slow in manufacture and needs too many dumb hand work to make them look nice. The external dimensions and overall look will be exact same as in Expansion Box v.1. Changes and modifications will be only under the hood. Probably new enclosure will be slightly heaver. 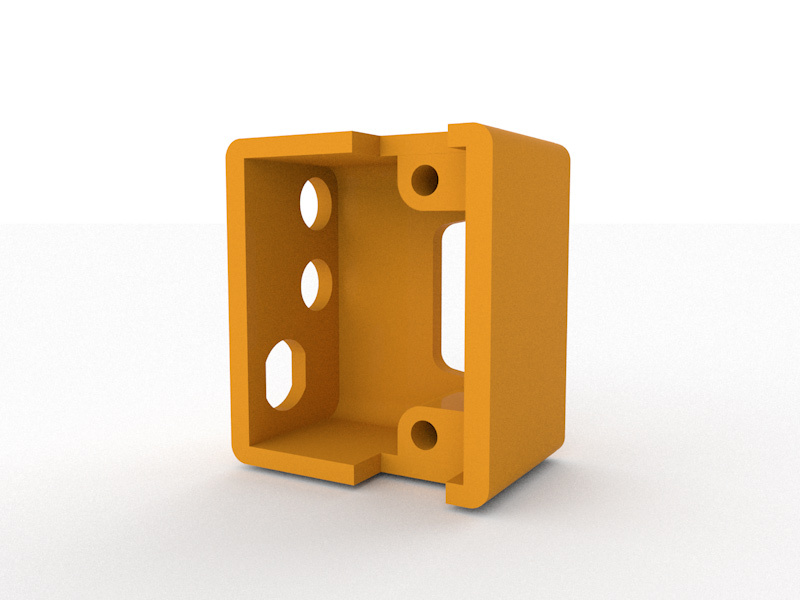 Also based on users feedback i move body to 0.6mm backward to make it more easy to fit to Wooden Camera cage. Hope that next batch will be available in autumn. Would also love to order one. Is there a link? Chris Chiasson wrote: Would also love to order one. Is there a link? Please send me email and i inform you when Expansion Boxes will be available. 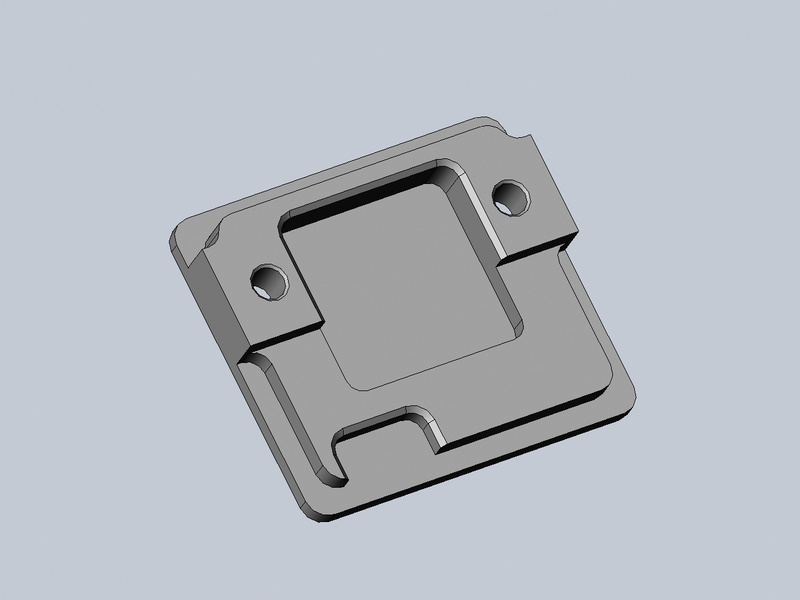 - It seems CNC Aluminum enclosure will not happen. Huge delays due summer-autumn typhoons disasters in Asia factories. 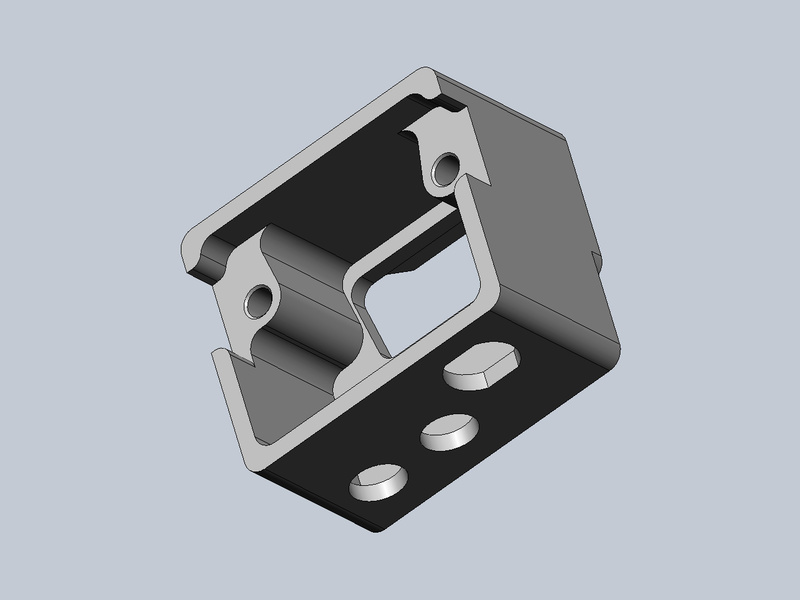 Also CNC manufacture prices for this part appears way higher than i expected. 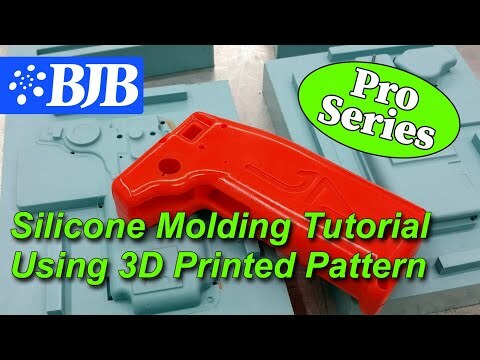 i decide move to silicone mold rubber and liquid urethane plastic casting. Again. After bad experience with DLP 3D printer in spring (too shrinked dimensions due wrong model orientation and printer tuning) i decide go for Stratasys Objet 30 dental prime 3D printer. And it was another disappointment. All surface was covered with thin rubber-like layer of un washed support material. Also finish quality appears way lower than it was from DLP printer. Stratasys Objet 30 PolyJet 3D print (XY 45 micron with 16 micron layer) looks worse and less clean than DLP 3D print (XY 50 micron with 25 microns layer). It is also overpriced compare DLP and needs even more hand work post processing than removing support pins from DLP printers. But after 2 days of hand work master model became clear and very smooth. 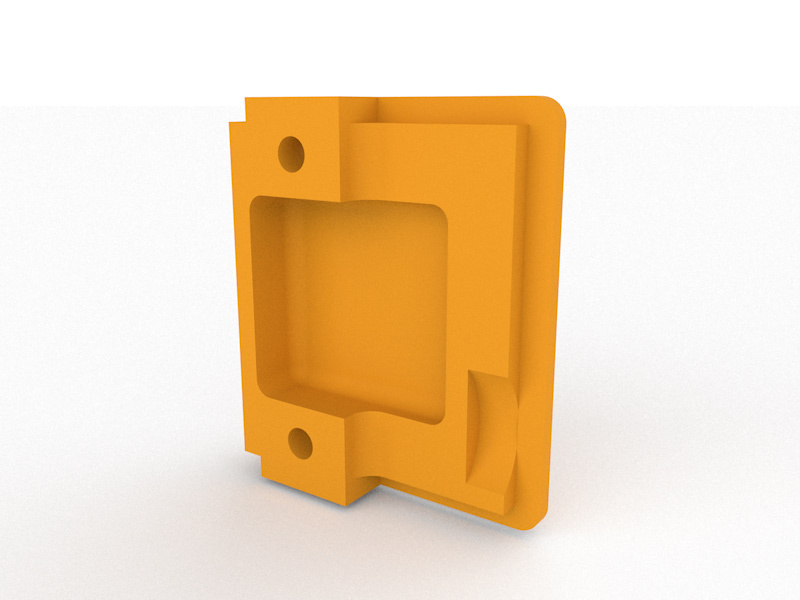 - Currently i finish the design and almost get all necessary components to build complicated and precise support for futureproof silicone mold. 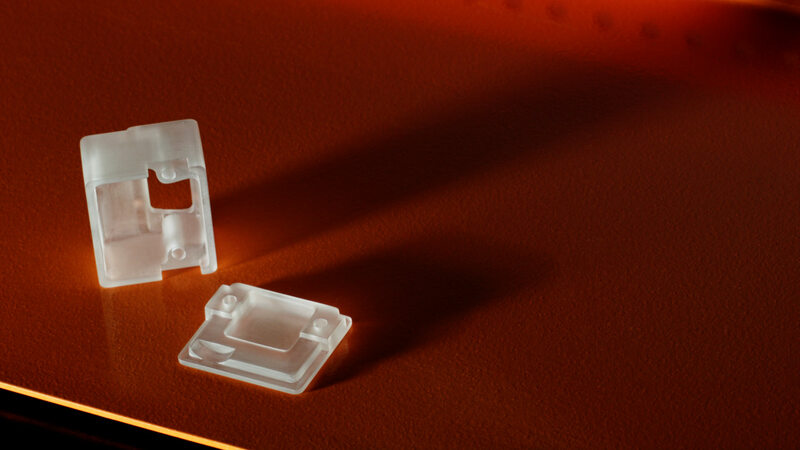 - I found small factory team who can do silicone casting with vacuum degassing and do liquid urethane plastic casting in high pressure camera. This helps to get rid of the bubbles when casting, but kind of technology that not so easy to setup at home. 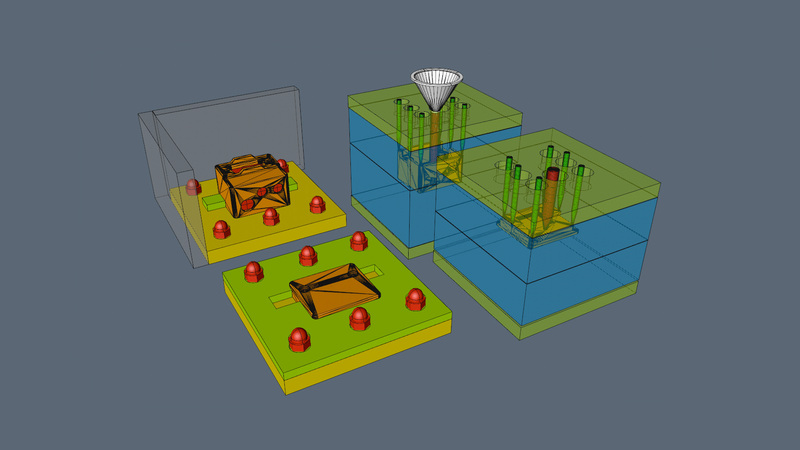 - 3D model was redrawn in CAD programs and overall geometry became better and cleaner. - Rear side of the Expansion Box is now reinforced with stainless steel washers inside. - All electronic components assembled and ready long time ago. - More additional custom made tools where created to speed up manufacture. - For safer shipping i got small hard cardboard package boxes now. Last edited by Dmitry Shijan on Fri Dec 15, 2017 8:15 pm, edited 1 time in total. 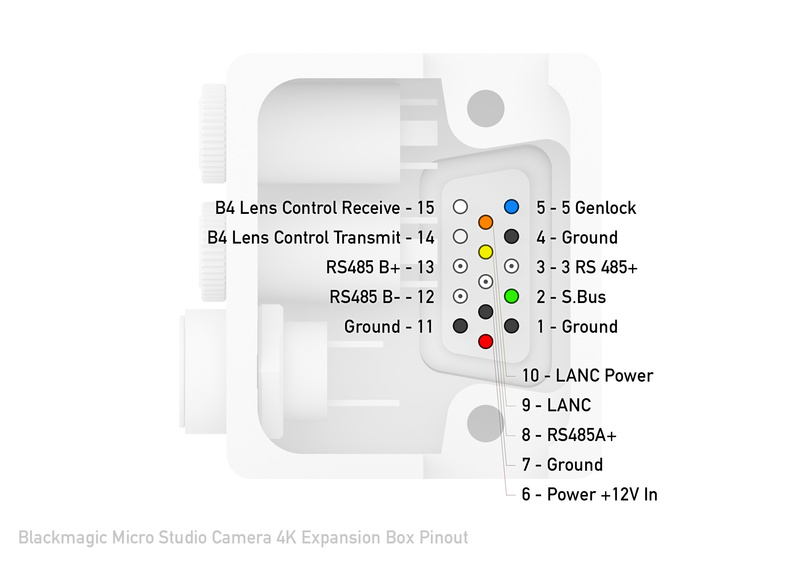 Dmitry, you should make breakout box that will interface with Phil’s new One Little Goat Lite controller, using a TRRS (4-conductor) plug tp connect SBus and Lanc from the camera to the new OLG Lite controller, with power and Lanc ports, so it will fit with the Wooden Camera Micro cage, like your breakout box does. I would be in for one, even at $25-40, so I can use the new remote with my Micro Cinema Camera and BM Hand Grip on the WC Micro Cage. Lots of WC. I do cages were sold, so I can not be the on,ymine here needing/wanting one. Phil seems locked into his larger breakout box, while nice, just does not fit with the WC cage, as he designed it to fit the Smallrig cage. 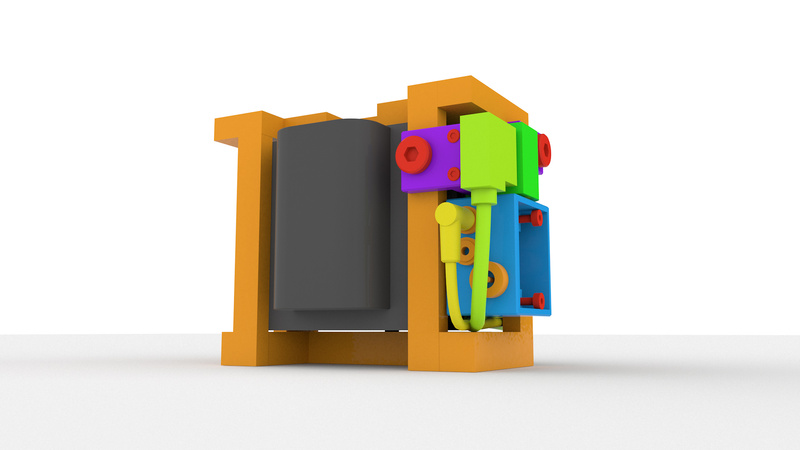 Denny Smith wrote: Dmitry, you should make breakout box that will interface with Phil’s new One Little Goat Lite controller, using a TRRS (4-conductor) plug tp connect SBus and Lanc from the camera to the new OLG Lite controller, with power and Lanc ports, so it will fit with the Wooden Camera Micro cage, like your breakout box does. Just use 4pole TTRS to 3 pole TRS jack cable to fit that controller connection to my Expansion Box. Yes, while this works, you loose the led Talley light on the remote, as it gets this from the Lanc signal, which is the fourth connection one the TRRS connection. Would be nice to keep the record Talley light working. But I will give this a go. - All pinout specs and connection charts are available in this thread. - It provides separate S.Bus (or PWM or Genlock or Analogue video out), LANC and DC power connection. 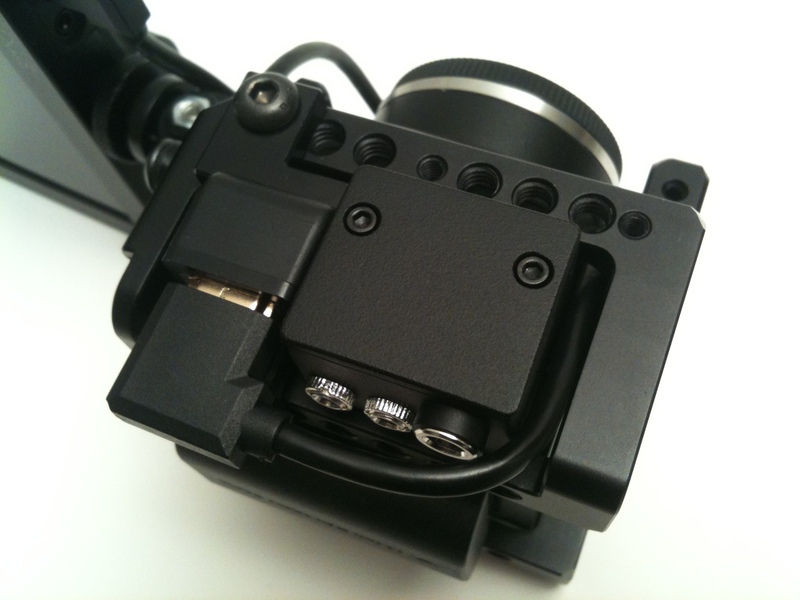 - It is made to fit to SmallRig BMMCC 1773 cage and to dimensions of my other accessories eco system. It fits to WoodenCamera cage very tight or may not fit at all. - I don't have TRRS sockets and don't know where to find them. - It is impossible preserve free adjustable concept if use TRRS sockets. - I don't know what pinout connection used in S.Bus controllers manufactured by other people. - I think it is just bad idea to mix two different interfaces (S.Bus and LANC) in one cable. Thanks Dmitry, you have a very good point. I will try just making up a TRs to TRRS cable and give it a go. 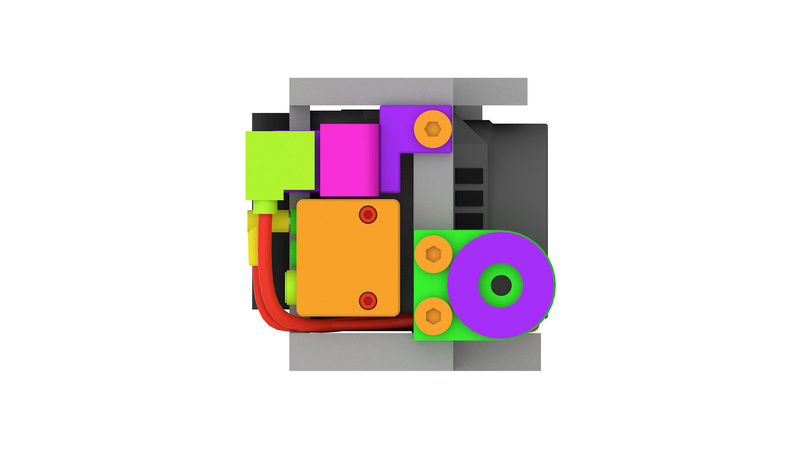 Angle Breakout Expansion Box Module v2 is available now! 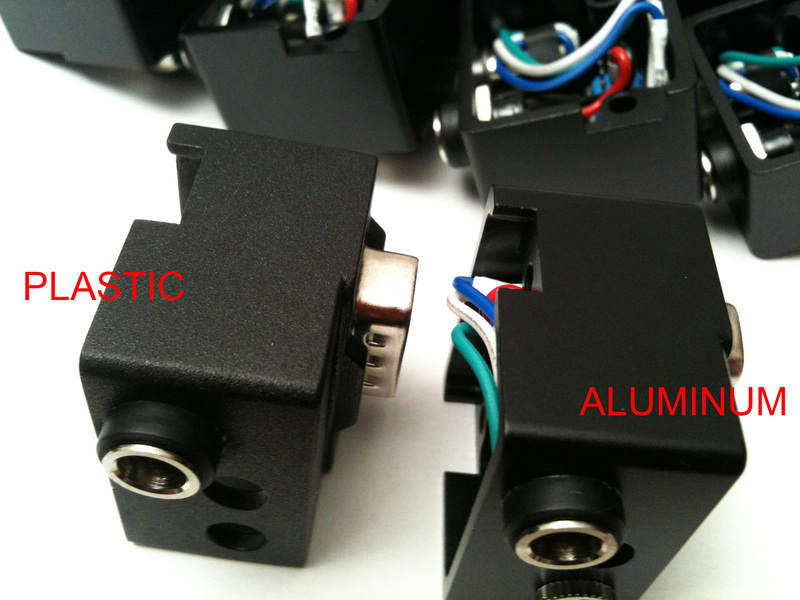 New improved housing now CNC machined of Aluminum Alloy and anodized in black color. I just setup sales in the new marketplace https://lavky.com/radioproektor/ Now it is possible to pay by PayPal or by card for your choice. The price became slightly higher because too many additional fees but same time more usability. Good move, this should help,increase your sales, with a more universal payment system. Here is a chart that may help to make DIY cable adapter. It is based on Denny Smith's research about One Little Remote pinout. I can draw same chart for CGpro controller if someone can figure CGpro controller pinout. This Expansion designed to fit to SmallRig BMMCC 1773 cage and to dimensions of my other accessories. It also fits to WoodenCamera cage but very tight. In some extreme situations it may not fit. 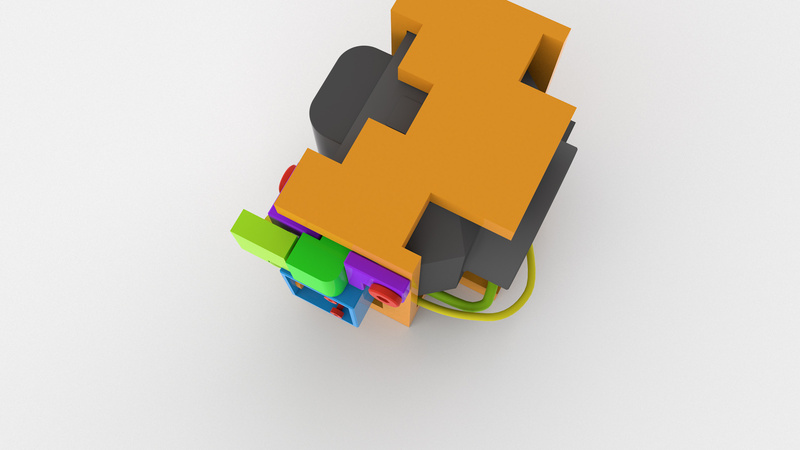 This Expansion Box designed as flexible and free adjustable DIY device. It is not made for any specific single controller in mind. 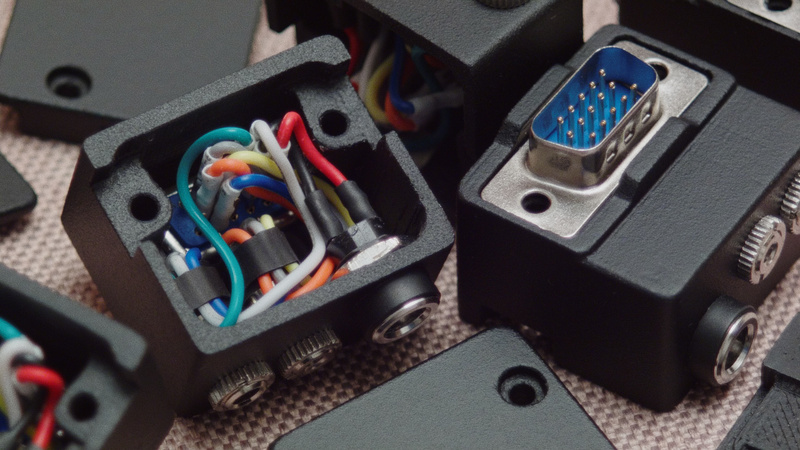 Everything is connected with tiny Dupont Jumpers, so you can open the box and easily change cables configuration. All pinout specs and connection charts information is available here. 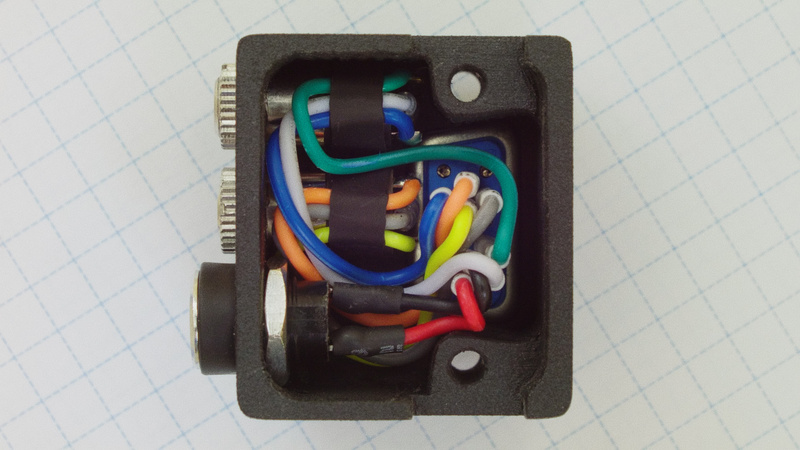 This Expansion Box provides separate S.Bus (or PWM or Genlock or Analogue video out), LANC and DC power connection. 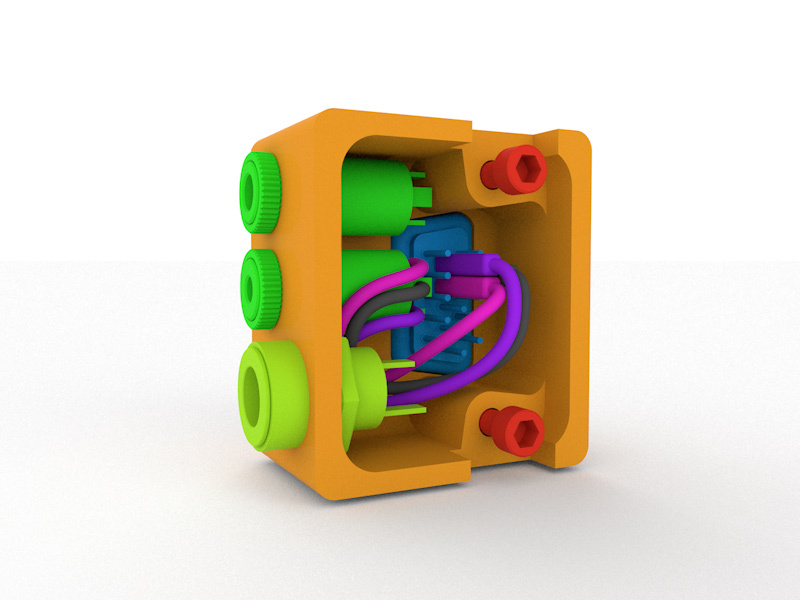 This Expansion Box uses 3 pole TRS jack sockets. 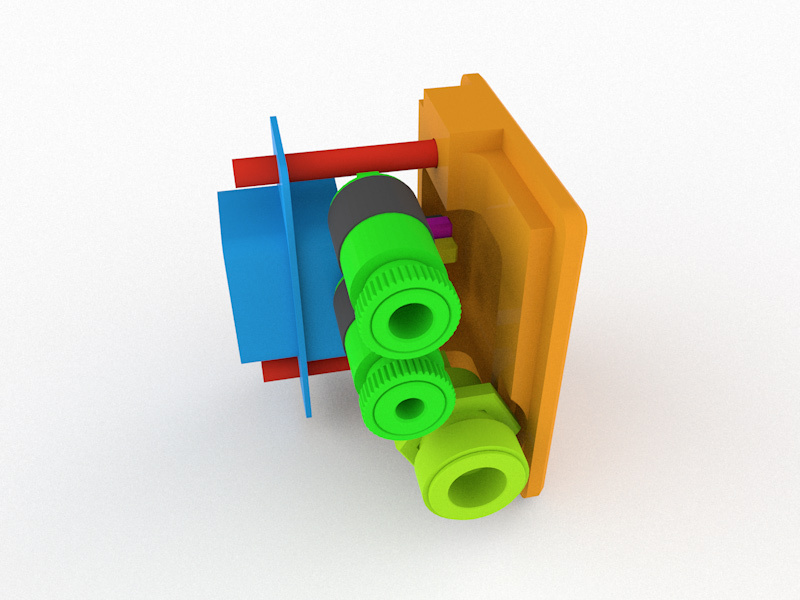 I don't have planes to implement 4 pole 3.5mm TRRS jack socket connection into my Expansion Box because i think that it is just bad idea to mix two different interfaces (S.Bus and LANC) in one cable. It is also impossible preserve free adjustable concept if use 4 pole TRRS sockets. 8Sinn Cage looks beautiful but there is just not enough space there. Only SmallRig cage is supported. Expansion Box and Offset Rosette Mount fits also to WoodenCamera cage, but very tight. Demitry, the new expansion box fits the WC cage just fine, it sits close to the cage, but does not need to be forced, a good fit in my book. Got it. I've been looking for a simple expansion port cable to LANC as I just need the ability to start/stop recording, but I can't find any. Something like the render on this picture would be beyond ideal for me. Have you ever seen something similar to this cable? or do you have any plans to make one? I thought about making my own, but I highly doubt it'd look that nice. That was a marketing artist rendering. Manfrotto never made this unit. 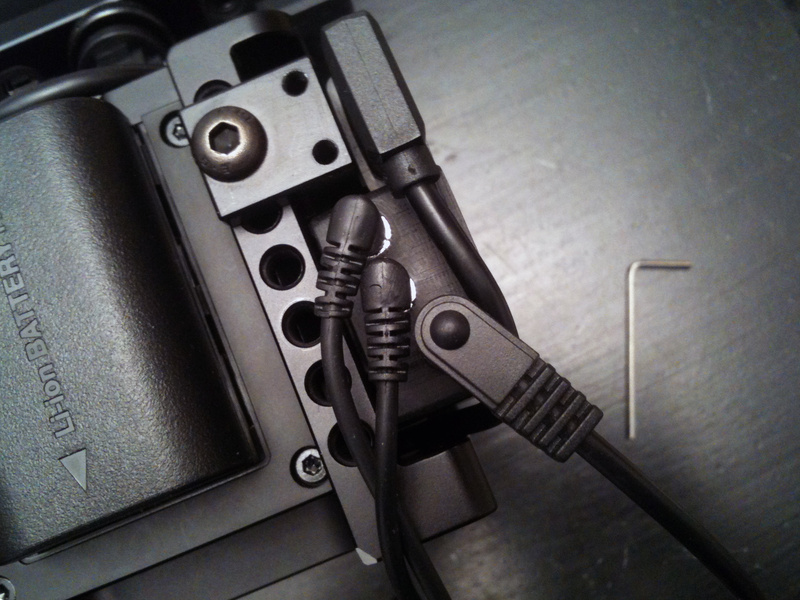 Easy enough to make one up, get the Manfrotto Lanc Remote, look at how the Lanc plug is wired, cut it off, and solder in a DB15 connector with some shrink wrap strain relief. Presto you got one. Or just get Demitry,s new box, and plug the Manfrotto Lanc Remote into,it. You also have a 12-15VDC input plug and a plug for a SBus controller. Thanks for pointing that out. It would be ideal if I could get Demitry's box but it won't fit my 8Sinn Cage. I'm not actually looking for the Manfrotto LANC specifically but just a simple, start/stop button like https://fastforwardtime.co.uk/image/rig ... -rig-3.jpg in one end of the cable and the port expander (DB15 connector) on the other end. 3. connect button to ground and any PWM pin on DB15 connector based on pinout chart i posted earlier here. 4. External Rec/Stop button is ready. Just set PWM channel in camera settings. For example this s my DIY External Rec/Stop button. Slightly different connection and external design, but overall same concept. 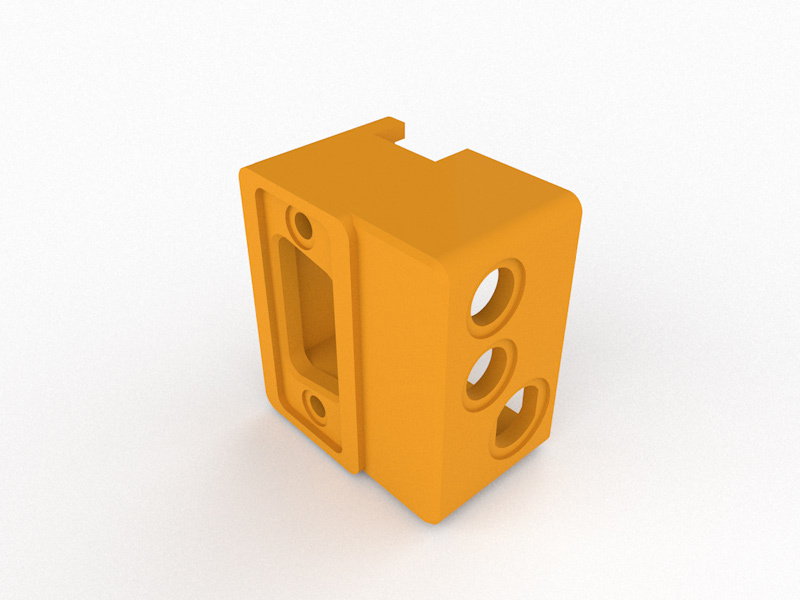 You can also try to get CGPRO BMMCC/BMMSC BREAKOUT BOX WITH LANC PORT AND 12V INPUT https://www.cinegearpro.co.uk/products/ ... -12v-input It is 3D printed lower quality box, and i am not sure if it actually fits to your cage. You need to measure things somehow. Some people ask them, but that company with zero back communication with customers. P.S. I don't have any planes for new expansion box that will support 8Sinn BMMCC Cage. Your new box Dimtry works with the WC cage. Last edited by Denny Smith on Thu Jul 19, 2018 12:45 am, edited 2 times in total. BMMCC Angle Breakout Expansion Box version 3 released! - Thicker and better quality cables. - LUMBERG 1614 09 DC power socket connector. Last edited by Dmitry Shijan on Sat Mar 16, 2019 9:15 pm, edited 2 times in total.